Great take on the sketch! 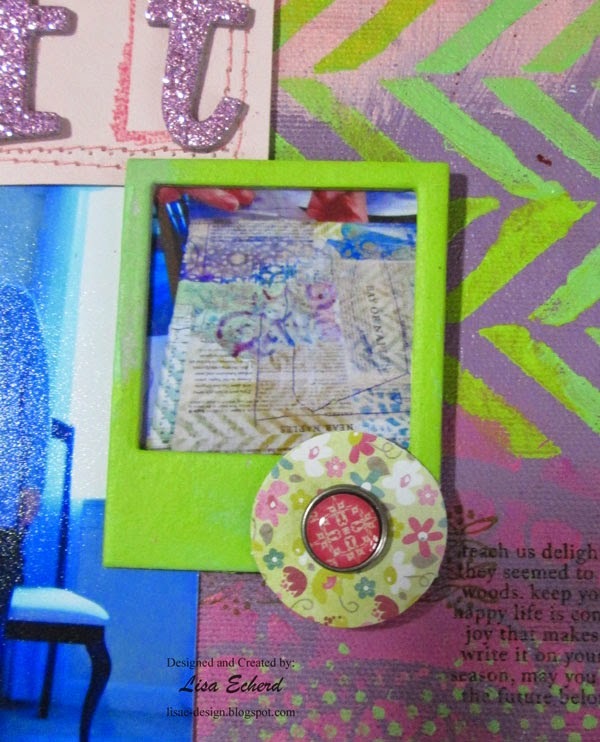 Love the idea of using the sticky back canvas - I know I have some in my stash somewhere! LOL! Enjoying watching the process on video - thanks! 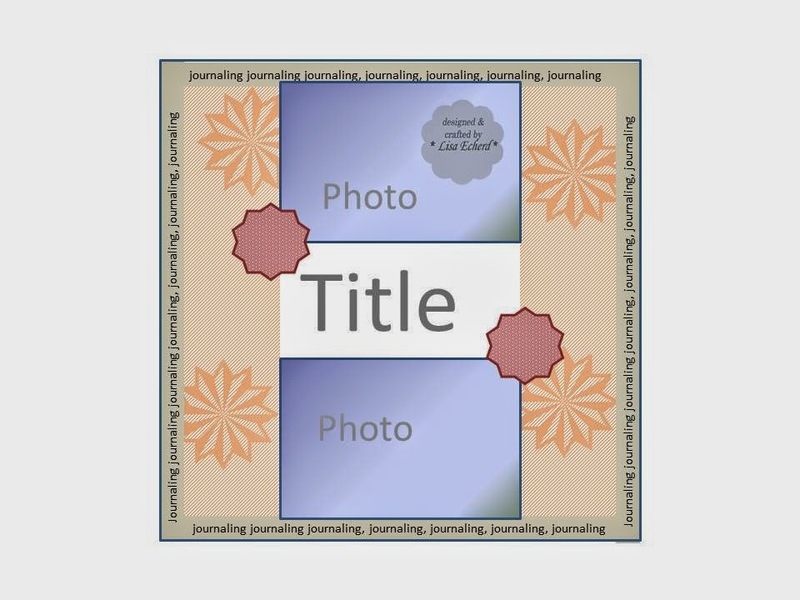 What a fun layout and fantastic background you created, Lisa! Lisa, I had no idea that our first foray into mixed media was going to open up a new world for me! I can't get enough of it. 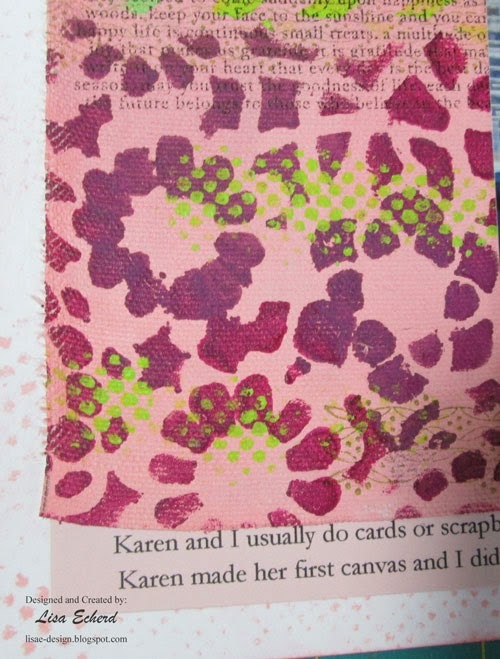 I appreciate the fact that you used mixed media on your scrapbook page. I think that may give me the best of both worlds. And I have GOT to get that halftone stencil! That's just what I need to solve an issue I'm having. Thanks for sharing! 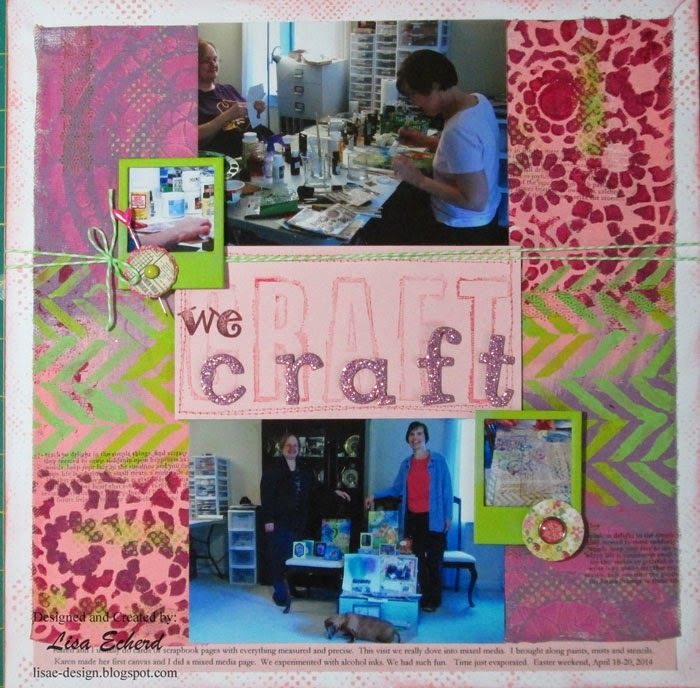 Lisa, I Like how you documented your crafting weekend with a friend. Great layout!